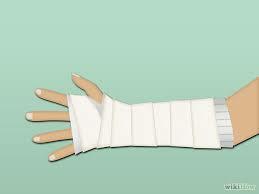 I finally came to the end with you having a broken wrist— near Lunch time. the same thing happened to his wrist, but he did get arthritis in it. plus my spelling is terrible in English and German. Hope I can read more from your life.